Before he steps away from touring, the master funkateer opens up about the new record and more. There is no funk without George Clinton - no Childish Gambino, no Kendrick Lamar, no Migos of which to speak. 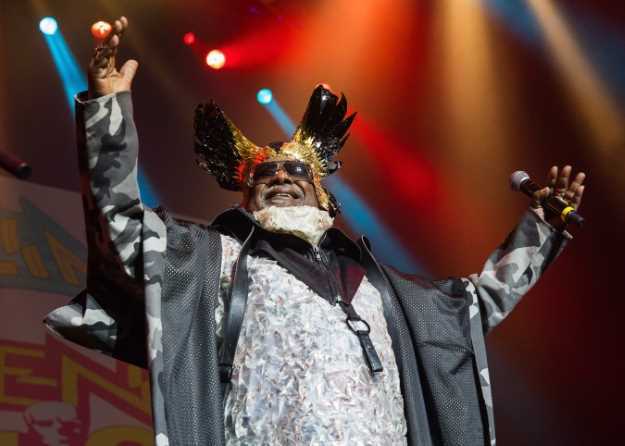 If Clinton didn't bring the sweat-inducing raw soul at the heart of his best work during the '70s and '80s with the psychedelic Parliament, the guttural Funkadelic or alone and solo starting with "Atomic Dog," funk and hip-hop would have never been made modern and durable. And now, over 50 years after his start, Clinton is getting ready to wind down with a series of shows between 2018 and 2019 that will lead to his finale. 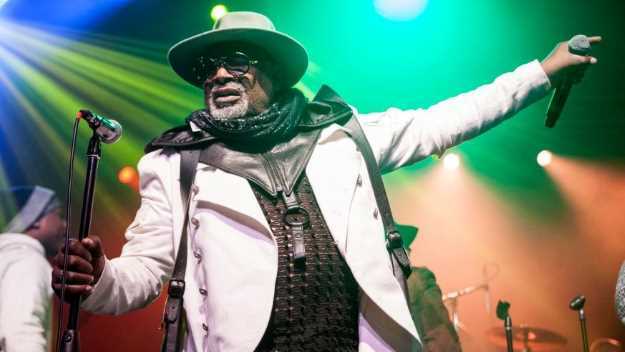 But not before releasing his first new Parliament studio album in 38 years (the recently dropped "Medicaid Fraud Dog"), his first new Funkadelic album in decades ("First Ya Gotta Shake the Gate"), a soon to debut new P-Funk All-Stars record and an appearance at Ardmore Music Hall on August 1. Ask Clinton why he shut down shut down the once-prolific production of albums by Parliament and Funkadelic after 1980's "Trombipulation," he blames difficult business relationships for being the root of his evil. "Yes, it was the labels and the management that I had at the time. I'm still in court about that period and we're filming a documentary that will tell all about that whole period now. I'll be getting that story our soon. Everyone assumed it was all drugs - that was a tiny part -but it was mostly business woes." Currently, Clinton is independent, free and clear to do what he wants, when he wants and presently his sinewy soulful sound has found its words in all things medicinal in " Medicaid Fraud Dog." "We been high up in this medical thing for a while - Obamacare, pharmaceutical warnings, steep drug pricing, opioids," he says/ "Used to be all we had to worry about was some bad Tylenol. Now it's everything. The legal pharmaceutical companies are taking over where the ushers left off, and with the government behind them. That's some bad business." Long before he hit the funk, hard, Clinton, them a Detroit native, got a job at Motown, but as a songwriter, not as an artist. For him, that was cool at first, but eventually, songwriting alone could not contain the immensity of his sound. "Motown's production line and its diversity inspired me to create different acts such as The Brides of Funkenstein, Parlet, The Horny Horns, and Bootsy's Rubber Band, along with Parliament and Funkadelic - definitely - because I could say and publish so much in so many different ways, and not have people get bored of me." Another big inspiration was the British Invasion of the mid-'60s, not only in its wild sounds in accordance with R&B and progressive rock ("the Rolling Stones come to mind, so does King Crimson"), buts the clothing of the day. Mention the legendary Granny Takes a Trip boutique in London and its furry, fringed wares, and Clinton, shouts, "Man that's hilarious you're even bringing that up. I mentioned the Stones and Traffic and King Crimson, Well that shop was very influential to us when we got psychedelic. Exactly. See when we started off we came from a very different era. It was all pimp outfits of suits and ties. By the time we got to the '70s, we had everything tailor made to suit our new sound... even the jeans with the wide bellbottoms." Now, on stage at age 77 and newly remarried, Clinton is still sartorially splendid, resplendent in derbies, walking sticks and three piece suits, rather than capes and wings. "But I'm still a pimp, right?," he asks with a laugh. Indeed.